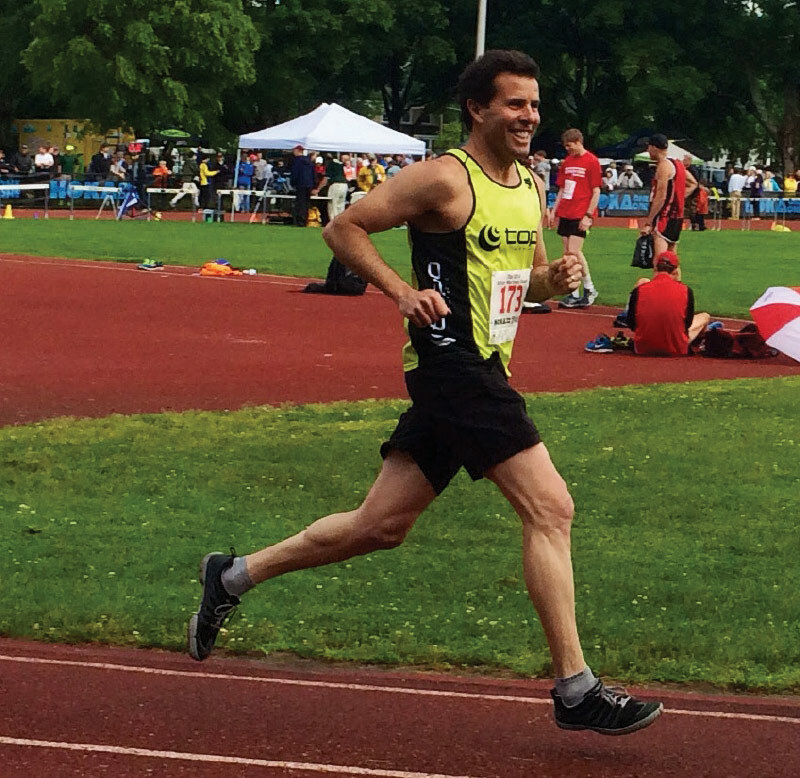 Tony Post, CEO/founder of Topo Athletic, on getting his latest venture up to full speed. Tony Post is an industry veteran with a lot of miles under his belt. Having served a key role at Rockport during the brand’s walking category heyday to spearheading the minimalist footwear movement with the launch of Vibram FiveFingers to founding his namesake Topo (short for Tony Post) running brand, he’s accumulated a wealth of experience and perspective. It’s all coming in handy as Post’s brand finds its stride in a field of athletic powerhouses. Here, Post candidly dissects the good, some bad and the pleasantly surprising as Topo marks its five-year milestone. It’s been a fun run so far. It’s been five years since the launch. Are you where you envisioned the brand to be? To be perfectly candid, the first few years were really hard. Despite my years of experience, we made our share of mistakes. But the last couple of years have been good. We’ve refined our vision for the brand, we’re making better shoes and we’ve built stronger partnerships with the right retailers, suppliers and factories. We’re also operating better as a team. We fill an important need in the market, and that’s starting to be reflected in our sales growth. Coming off my experience at Vibram FiveFingers, I probably had unrealistic expectations about how quickly we could grow. I mean, doesn’t every business grow to $100 million in 5 or 6 years? What are some notable milestones? Winning awards the last couple of years from Runner’s World and National Geographic were important—it gave us critical product validation at an important time. Seeing strong sell-thru with a key retailer is just as important—we’re always focused on sell-thru, not sell-in. Even hitting a strong open rate on an email campaign is important because it reminds us what resonates with our target audience. These are all milestones to be celebrated, but in the end, it just makes us hungry for more. Like a competitive runner, our team is focused on improving each season, making better product, providing better service, creating better communication. The more you improve, the more inspired you are to get better. What’s the toughest part of getting a new brand up and running today? Capturing consumer mindshare in a crowded market. I remember at Rockport, back in the ’80s and ’90s, people told us our shoes were just too ugly, that we’d never grow if we didn’t make better looking shoes. But something in the fit and feel of those shoes outweighed our “unusual” look. Our business grew because those were some of the most comfortable shoes of their time. We were the first company to bring lightweight athletic shoe comfort to casual and dress shoes. Along the way, we made walking shoes a relevant concept and built a business that reached nearly $500 million in sales. At Topo, we just try to stay focused on our target user and retail customers: How can this product improve a user’s running, trail or fitness experience? I’ve always had more success when I focus on a niche. I don’t try to make shoes for everyone, in fact I try not to think about the mass market. I just focus on a specific target, then make something that solves a problem or makes their lives better. When you do that, chances are it’s going to eventually capture their attention. There are no shortcuts. You have to make something better, then do it again and again. How did your Vibram FiveFingers experience influence Topo’s launch? The Vibram FiveFingers experience was unique in several ways. First, thanks to Marco Bramani (owner) and Robert Fliri (designer of the original model), we had the opportunity to introduce a new concept under the umbrella of an established brand. Second, we already had lots of great shoepeople working in the company—designers, technicians, people in operations. We were well resourced to make that business grow. Most people think Vibram FiveFingers was a meteoric success, but the truth is we didn’t break $4 million until our fourth year. When it did take off to more than $100 million, we already had a strong team of shoepeople we could access to seize the opportunity. Launching Topo has been very different. We have a much smaller, younger, but scrappier team. They have endless energy and enthusiasm for building a brand and creating a company—we have to do both. Along the way, we’ve faced all kinds of obstacles. It’s a very competitive marketplace with lots of great brands, so just entering the market is a challenge. When we started, we were thrown out of a couple factories because other brands perceived us as a threat and threatened to pull their business from the factory if they didn’t throw Topo out. We had to raise money and invest without a return for a long time. We needed to build operational and business systems from scratch. There were challenges on every front, and we made our share of mistakes. But I wouldn’t trade any of that away. Overcoming all of that has made us better, it’s made us more creative, more thoughtful and more thankful when we did begin to achieve some success. And most important, it’s helped us to believe in ourselves. How’s business of late? Business is challenging for everyone, but we’re doing well and growing every week. We’ve established a premium network of independent running and outdoor specialty stores across the U.S., including nearly 100 REI store locations. We’re selling in 11 countries now—that’s something you didn’t used to see 20 years ago. A young, small brand going global this early in its life cycle. But the world is much more connected today. A nice surprise is how balanced our sales are across gender, category and even style. In my previous experiences, it was usually an item that helped launch a brand or an idea. With Topo, our sales are almost even men to women and road running to trail running. We’re not an item brand. What’s new for Spring ’19? It’s all about our Trail category. Not only have we updated our Terraventure and Hydroventure models, we’ll be launching the Ultraventure, which Runner’s World named ‘Editor’s Choice’ in the running category at the OR show. All three models feature high-performance Vibram outsoles, Ortholite footbeds, multi-density midsoles and Topo’s “hook and tunnel” gaiter system. We’ve reduced the overlays, added unique water drainage features and upgraded several ingredients. 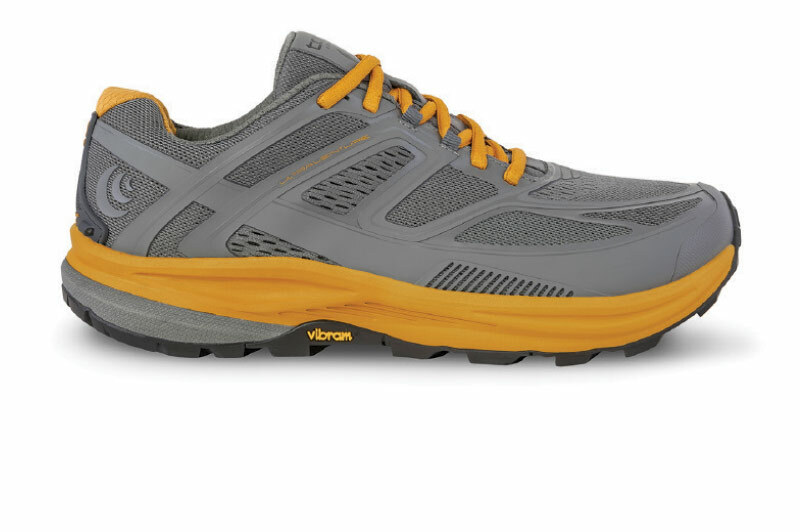 And like all Topo shoes, the new trail models fit roomy in the toes, yet snug in the waist and heel, which is especially important on-trail where you need a secure fit but room when your feet and toes begin to swell. I grew up in the foothills of Colorado and have spent a lot of time running trails and being in the mountains. In the early ’90s, I was associated with the Leadville Trail 100 and got to experience the early days of endurance trail racing in the U.S. It’s a big reason why I’m so excited about the direction of our new Trail line. trail running shoe for Spring ’19. What’s your take on the current state of the athletic market, and why might Topo be well positioned? A lot of the recent growth in athletic has been driven by lifestyle, and there are plenty of great household names focused on that. But like every time in history, if you make a functional product that breaks through to a user and delivers a better experience, you’ll likely succeed, regardless of the market environment. It’s true whether you’re a store owner, a brand or even a component supplier. We just focus on how can we make a product that delivers a better experience to that specific user. So many brands talk about technology, I sometimes feel like the craftsmanship and fit get overlooked. Yet that’s where Topo excels, and why we’re positioned for continued success. Another observation comes from the recent OR show where buyers described how Millennials are seeking outdoor experiences. REI, for example, is capturing 20- to 35-year-olds who’ve developed an appreciation for an outdoor lifestyle that is budget-friendly and practical. This translates into making gear that is affordable and versatile with functional design, quality and authenticity. We’re seeing traction from Millennials who are drawn to the durability, versatility and value of our brand. Is there anything about this business that surprises you anymore? Are you kidding! I’m always surprised by events in the marketplace. More than that, I’m often inspired by what others have done—new concepts, building great brands, great stores that find new ways to connect more deeply with their customers. I’m inspired by the courage and curiosity of others to find a new way or rediscover their roots. Why is Topo’s joining the Conservation Alliance important? Access to national parks and public lands growing up helped shape who I am as a person. I enjoy trail running, mountain biking, hiking, skiing… But it’s more than appreciation for nature, it’s a deeper yearning to connect with our natural surroundings. I believe that access to all these special places is central to our humanity and keeps us grounded as thoughtful human beings. To paraphrase Teddy Roosevelt, “Just as Europeans protect their cathedrals and castles, Americans must protect all the wildernesses that serve as our Notre Dames.” It’s more important than ever for companies of all sizes to support organizations like the Conservation Alliance, which does a great job helping to protect our environment and working to insure we have access to our land. Where do you envision Topo in five years? I want Topo to be known for quality, creativity and how we take care our customers, employees and stakeholders. And that we’re a company our users enjoy and are proud to own. I admire companies like Patagonia for their commitment to quality and sustainability; Apple for their industry-shaping design; and REI for creating a strong culture that extends beyond their employees. You’ve launched brands from scratch, spearheaded the natural running movement, helped put ultra-marathoning on the map, you’re the poster child (literally) for proving dress shoes can feature athletic-like comfort… Looking back, is there anything you’re most proud of? It’s fun to look back, but it’s more exciting to look ahead. It’s never about what we’ve done, it’s about what we can do, what we can contribute and how we can help make the world better. My whole career has been about trying to make products that improve people’s lives. Granted, it’s only shoes, but when you do it right, folks really appreciate it, and that’s a rewarding feeling.